Did that really just happen? Did another year just fly by? All the prepping, shopping and getting ready for it to be over in a blink of a eye. 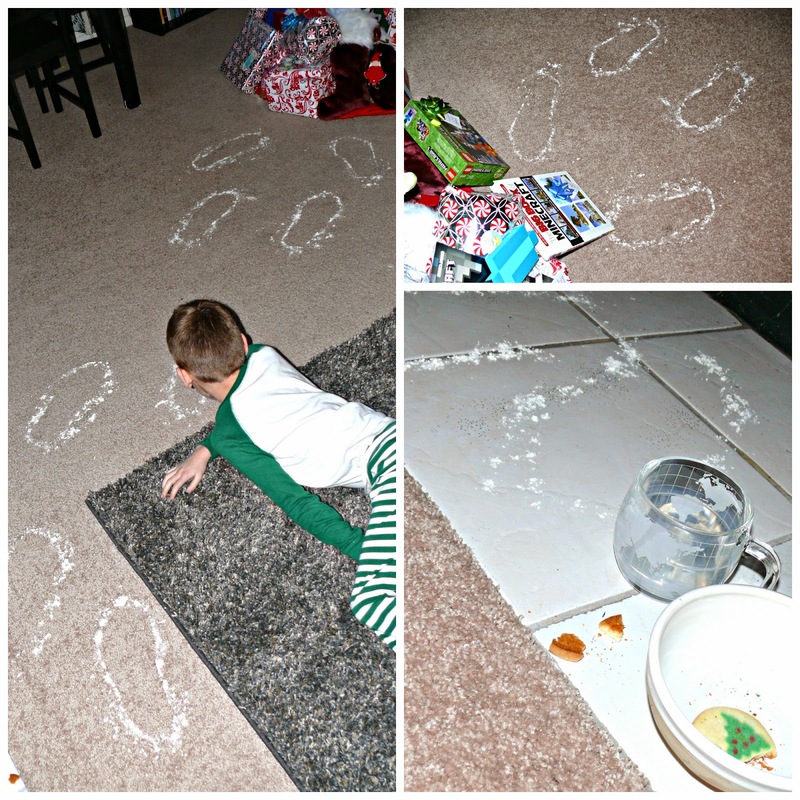 We had a magical Christmas this year, Santa came and visited and left behind his boot prints in our living area! 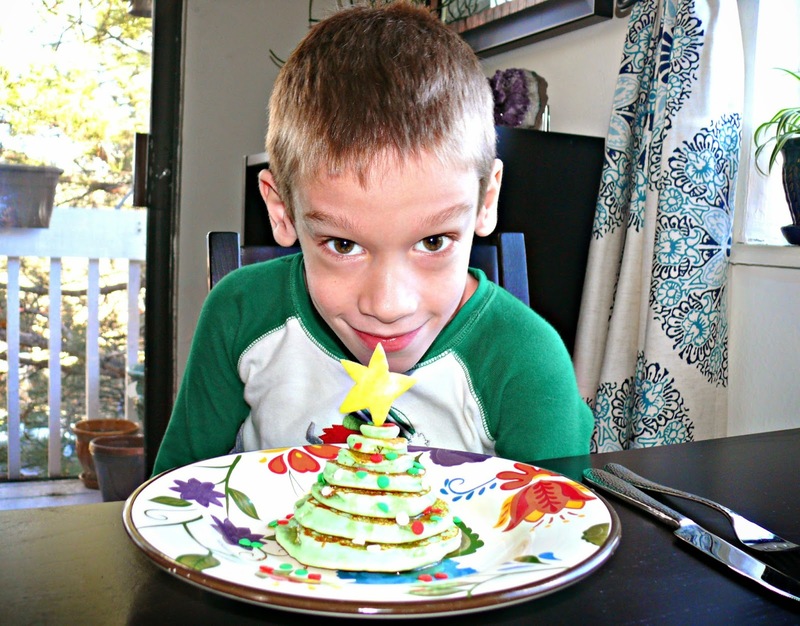 and had a very special breakfast, I got this idea from Pinterest and my son loved it. 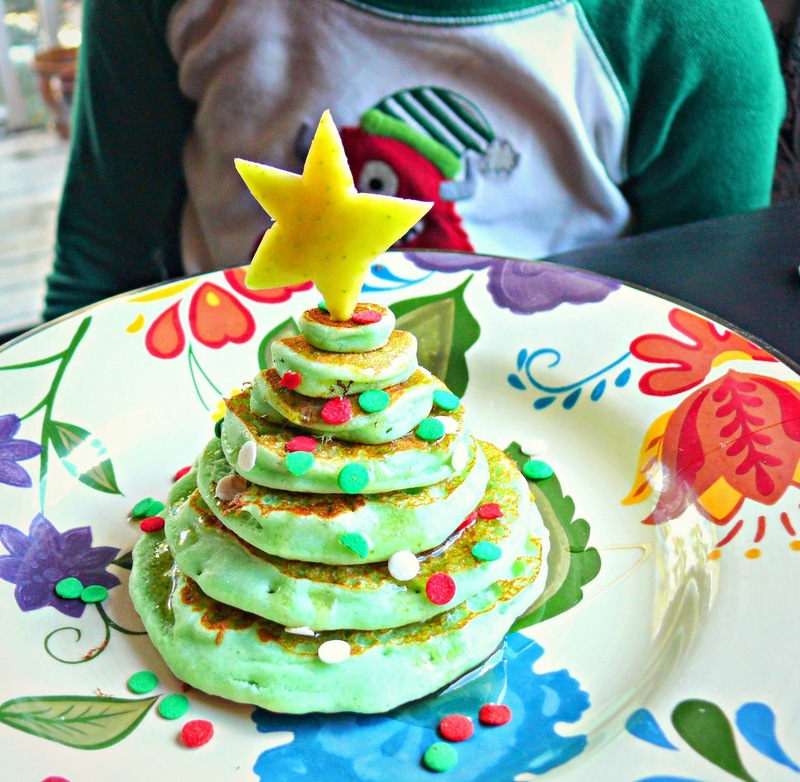 You dye the pancake batter green with food coloring and then layer it to look like a tree and top it off with a star of some sort. I carved on from a Yellow apple and then sprinkle the pancakes with candies. FUN. After a change of clothes and a much needed cup of Joe we opened our gifts, my mother and father live in another state and Christmas Eve we opened a package that had a video camera in it. So we all opened gifts over the camera on Skype!! For this next picture I feel the need to explain the WHY IN THE WORLD DOES THIS KID HAVE SO MY TOYS?! 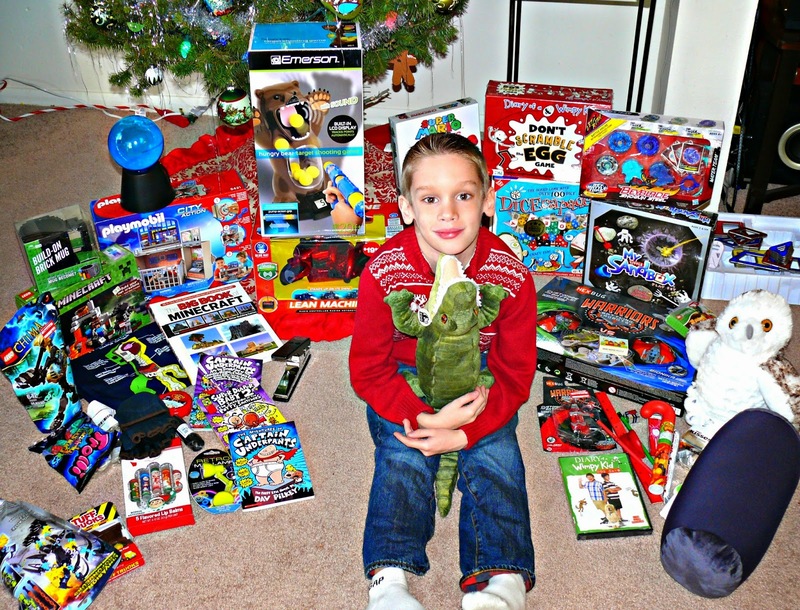 So here it is, he is my only, he is the only grandchild, only nephew, only a lot on my side of the family and...These gifts are from: Santa, me, his dad, his grandma, grandpa, uncle, great uncle, my cousin etc. etc. 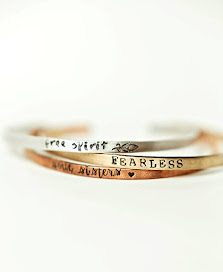 He is loved and he is blessed, Amen. 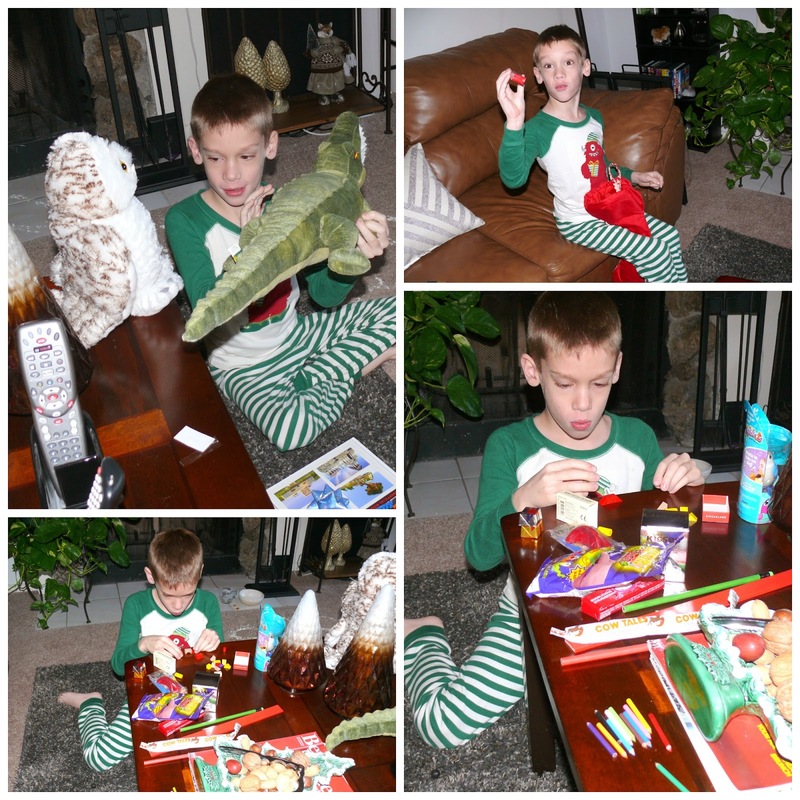 So then my son left for a few hours to go and do his Christmas with his dad and his other grandma/grandpa. 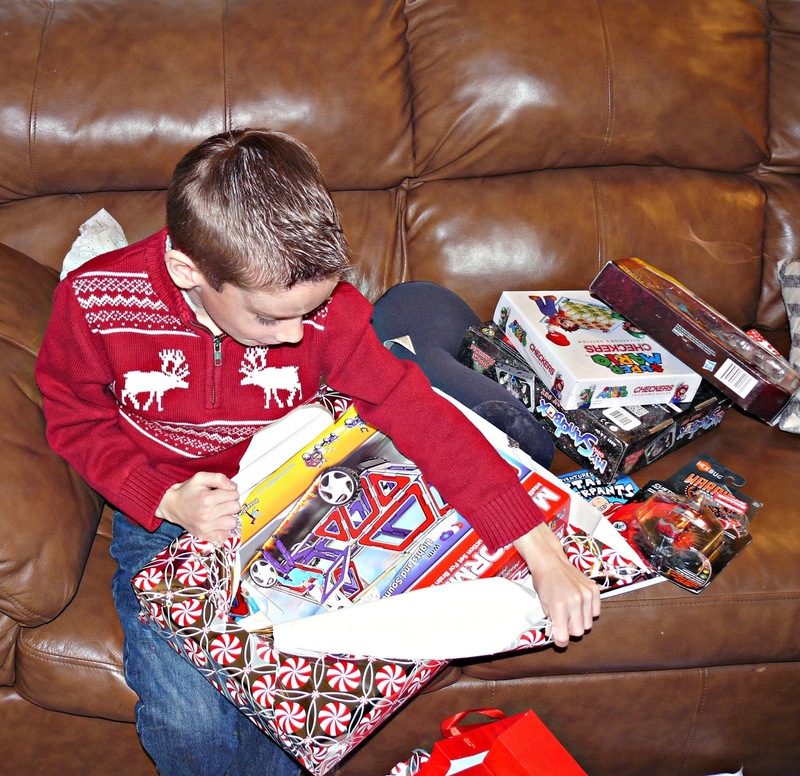 The kid had 3 separate family Christmas's this year. I took the time to un-wind and enjoy some quite time. 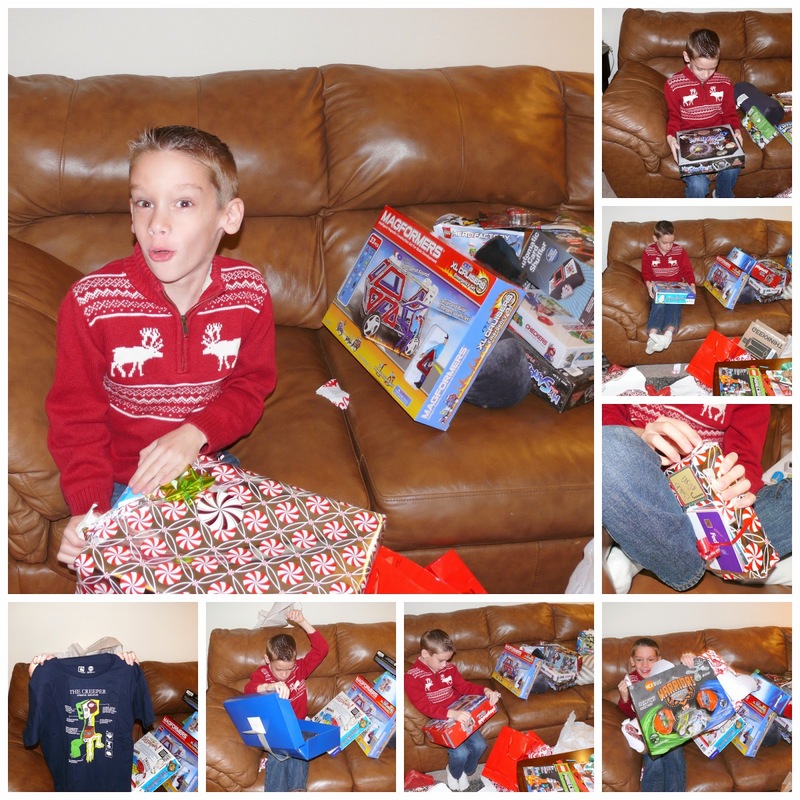 So that's our Christmas, it was a busy one with my kiddo in and out all day between his dads and friends house. I didn't mind it one bit. 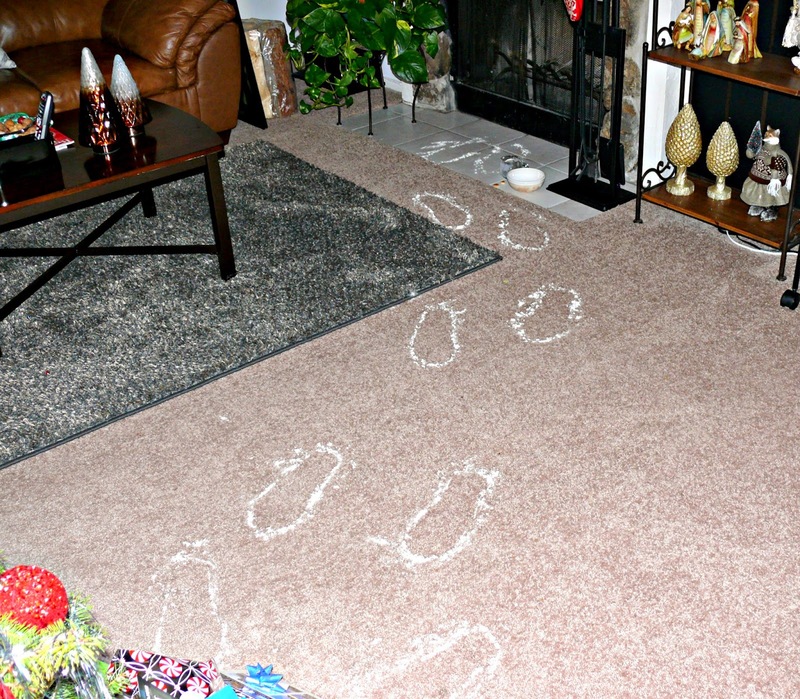 We kind of create our own traditions as we go and that's ok./ Hope you all had a very Merry Christmas 2014! !